Macaulay was born on the 20th of March 1995. He had pneumonia and was in special care for 15 days. He was then allowed home for 2 weeks and wasn’t feeding properly or gaining weight. He was then transferred back to hospital where they detected a heart murmur so he had an operation to repair that at 5 weeks old at the Royal Brompton in London. He was then transferred to our local hospital to recover. Then they found he had more problems as he kept projectile vomiting, so they did a Nissans operation to stop him from being sick. From there on his health went down hill, I battled for 7 years to say there was still something wrong with him as his stomach blew up like a balloon. They eventually transferred him to Great Ormond Street Hospital where it took them 1 year of extensive testing to come up with the diagnosis of his problem – Neuropathic Pseudo Obstruction. The only treatment for this is several different medicines; they have formed an ileostomy and gastrostomy. He is on Peptamin fed via his gastrostomy 3 bolus and 1 pump feed. Macaulay is moving on from Post Pals as he is doing relatively well. Post Pals has been a great support to him and my family over the years and I would like to thank you all for all the hard work that you do. You will always be thought of in my heart and I hope Post Pals keeps growing and more support is given to you. Hi everyone, we hope you are all doing ok. Macaulay has had an ok month. He had his last visit to GOSH as he will be reaching 18 on 20th March and he has now been transfered to UCLH. It was sad to say goodbye to his doctor as he has been going there for about 9 years. They have been great over the years and we have got to know them very well. We will miss them very much. It was also his last month at his respite place as he will now be moving over to the adult side of social services. I can’t believe he will be 18 soon, the time has come round very quickly, it is so scary. He has 1 more year left at school then he will go off to collage for a bit then we will have to help him find a job. Thank you for the post that has been sent to Macaulay and his siblings. Hi everyone, I’m sorry I’ve not updated for a while things but I’ve not been too good with my own health. Macaulay is not too bad at the moment and he has been busy at school and college. I have been chasing GOSH for a while now as they have not seen him for a long time and they are supposed to be sorting out a transition meeting as he will be 18 in March. He has had a few obstructions since they rejoined his bowel but not as many he was having, so fingers crossed things have calmed down now he is older. Thank you for the post sent to Macaulay and his siblings, they do love receiving it. Hi all, I’m sorry for not updating for a while but I have not been too well of late and had to go in to hospital 2 weeks ago to have my spinal stim sorted out. Macaulay is doing well at the moment, there has been a few bad days for him, but he seems to be doing good now. He is enjoying school and collage – he is making a bird table at the moment so it will be good to see the finishing table. Thank you so much for sending the cards and gifts that Macaulay and his siblings have received, they are very grateful. Macaulay has had an okay month. GOSH put him on a new feed but it was too rich for his tummy and it was making him feel really uncomfortable, so he had to be put back on his old feed. He is enjoying going to college one day a week. He is learning life skills and made some cakes which he was very proud of. I am going in to hospital myself soon to have my spinal-cord stim sorted out as it has been causing me some problems. Thank you to everybody that sends mail, it puts a big smile on their faces when they get post. I would also like to thank you all for the very hard work that you put in to making Macaulay and his siblings smile. I hope you are all managing to stay as well as possible and not getting these horrible bugs that are going around at the moment. January was quite a busy month for Macaulay with lots of different appointments. There has been lots of changes made, he has been put on some new feed and new meds to help make things a bit better for him, so let’s hope it does. He has not been feeling too bad but he has his moments where his tummy flares up. I’m still not sure it was the right move for his bowel being rejoined. Macaulay is starting collage after half term, so a fresh challenge for him. We hope everyone is as well as can be and thank you for the post that has been sent to Macaulay and his siblings. Hi everyone, first of all a happy New Year to you all! I’d like to say a great big thank you to Sandwell Academy for all the lovely gifts they sent Macaulay and his siblings, your very kind thoughts blew us away. A huge thank you to Macaulay’s elf too and for the lovely cards he received. Macaulay isn’t doing too bad at the moment. There is being some changes made with his feed though as he is losing lots of weight which isn’t good. When we was last at GOSH his consultant wasn’t too happy with the way his tummy looked so we are hoping things will settle. We all had a lovely Christmas and Macaulay was very excited. Macaulay is glad to be back at school and into a routine though. You all work so very hard to help put a smile on our children’s faces and I would like to say a big thank you to you all. Hope you are all well and take care, love Andy and Macaulay. Macaulay has had some up and down days of late but he just plods on through it all. He is enjoying school and going to college. He is doing cooking two days a week so looks like I need him to start cooking me my dinner now! We had a party on Saturday for his brother, Grant, who is now 18 and we all had a great time. Macaulay is loving playing with his new little sister who is growing very quickly. He has some hospital appointments coming up so lets see what’s next for them to do. I hope everyone is well and thank you for the post that has been sent to us. Macaulay has had some up and down days the last couple of weeks but is doing ok at the moment. He has got to go in GOSH on the 3rd September for more surgery. We have managed to go out on some days out the last couple of weeks, but it has been difficult for me as I had an operation on my back on the 9th. Macaulay is looking forward to going back to school as he will be going to college 1 day a week which will be good for him. Thank you to everyone that has sent post to Macaulay and his siblings. Hope everyone has had a good summer and take care. Just a quick update as I’m not feeling too good after my surgery. Macaulay is doing ok at the moment and has been busy going to all his clubs. He has got to go to GOSH soon to have more surgery though. I hope you are all well. Take care, Andy. Macaulay is not so good at the moment, he had his operation on the 3rd to rejoin his bowel, but since then he has not been so good. He gets lots of trapped wind which makes his tummy blow up like a balloon. We have been up to GOSH every week since, as the doctors are keeping an eye on him and if things don’t settle down he may have to have the stoma back, but it will be for good this time. It was great to meet some of you at the party. We enjoyed it and Macaulay loved having his picture drawn. I hope you are all well and can enjoy some of the sun we are getting at the moment. Thank you for the post that has been sent to the children too. Take care, Andy and Macaulay. Macaulay is not having a good time at the moment. His stoma is prolapsing 3 to 4 times a day. We are still waiting for the surgery date so it all can be sorted out. The new baby is due this month as well so we hope it is sorted before then. It’s making things really hard for him as he is not allowed to do any sports or swimming, which are things he enjoys very much. It has also been a very sad month for him as his uncle passed away very suddenly. He will be greatly missed. We hope you are all well and enjoying the lovely sun we are getting at the moment. Thanks again for all the lovely post. It has been a busy month for Macaulay. He has been going up to the hospital once a week since his bowel prolapsed to have blood tests, as his sodium levels are low so they’re keeping a close eye on him. We are still waiting for the date for him to go back into GOSH to have the bowel rejoined. He is still not back to his full activities at school, like his football and basketball, which is frustrating for him. Thank you to all that have sent cards and gifts to Macaulay and his siblings. It puts a big smile on their faces. We hope you are all well and have a good March. It has been a crazy last couple of months with lots going on and to top it all off I had to rush Macaulay to London to GOSH on the 25th as his bowel prolapsed quite severely. He had emergency surgery that night and they managed to save bowel and put it back into his tummy. The surgeon has now decided enough is enough and is working with his gastro consultant to re-join his bowel in March, which means a long stay in hospital. Macaulay is still weak from what happened and it is as though he has given up. He has said he has had enough so now so I’m trying to encourage him to keep going. Macaulay is hoping to go back to school soon but his return has to be staggered. Hi and happy New Year to you all. It has been a hard few months during the build up to Christmas and Macaulay is having his ups and downs but he soldiers on. We went to our local hospital today to see his gastro consultant. Things have stayed the same for quite some time now and Macaulay is on this long road with his illness that doesn’t seem to be going anywhere. He sees two gastro consultants that have different opinions (one at our local and one at GOSH). The surgeon at GOSH has said that it would be better for Macaulay to have his bowel reconnected and for them to do something different, but at the moment his doctor at GOSH is very reluctant to do it. However the one we saw today said they won’t know what would happen unless they did it, but I’m not so sure if I want to put Macaulay through it for him to go back to square one. So we have difficult decisions ahead. Sadly, on the 14th of December I lost my Mum, which was not expected. Our Christmas was ok but hard as my Mum’s funeral was on the 21st. On a happy note, my new baby who is due in May will be a baby girl which I’m very happy about. Hope everyone had a good Christmas and New Year. Thank you to everyone who sent the children post, they were very excited with the gifts they got. Take care everybody and have a very happy and healthy 2011. Love Andy & Macaulay. Hi everyone sorry for the late update but it has been a bad month all round. Macaulay is doing ok at the moment, he still has his ups and downs but he is plodding on. Bless him; he is getting very excited for Christmas. He is doing his Christmas play at school this week which he has a leading part in, so I can’t wait to see that. I’m trying to stay strong at the moment as my mum is seriously ill in hospital and it is not looking too good for her. I will be glad when this month is over as it has been a hard old month. It has been a hard old month. We’ve had lots to do and Macaulay has had a couple of appointments. He is going to GOSH this month to see his consultant and surgeon to talk about his stoma after they redid it. He has had some obstructions this month so not sure if what they did has made it any easier for him. I’m still having lots of problems after my surgery; the stimulator is not working so well so I’ve had lots of pain. My wife is also not so good at the moment. The good news is she is having a baby, but the down side is she gets very sick and has to keep going in to hospital to be rehydrated. She is on her fifth stay and she is only 12 weeks along, so I’m hoping things settle down soon. Thank you for the post that has been sent this month. I hope you are all well and looking forward to Christmas. Take care everyone. It has been a crazy month. Macaulay is doing ok at the moment though has had lots of appointments at different hospitals. I’m still recovering from my operation, it has been very sore and I need to go back to have my stimulator sorted out as it is giving me some problems. My wife has not been too well either so its been a crazy time, but all good fun I guess?! Hope you are all ok and thank you for the post that has been sent. Sorry I’m a bit late with this update but it’s been a bad month. Macaulay has been up and down with illness, he had his stoma re done but it has prolapsed a couple of times. We’ve been back to GOSH to see the surgeon; he has put Macaulay back on the operation list to have it sorted out. He is settled back in to school now after a long summer holidays – his started early because he had his operation before the start of holidays. I have had my operation now too; I had it on the 7th of September to have my spinal cord stimulator implanted. I’m not allowed to do anything for 8 weeks which is driving me mad. I would just like to say thank you for the hard work that is put in to making Macaulay happy, as well as the other Pals. A very big thank you to Ria for the lovely pillowcases and to everyone who has sent post. Hi everyone, I hope you’re all well and having a great summer. Well, where do I start?! It has been a busy time. Macaulay had his operation in June which went ok but he was not allowed back to school for two weeks after the operation. After that, he was all set to go to school but then he got an infection in the operation site, so he was not allowed back again and his summer holidays started early. Then, about two weeks ago, he was in the garden with his brother and sister playing when he had to go and empty his stoma bag. After doing that he came up to me and said ‘Dad feel this’ so I did and his bowel had prolapsed about 5 inches. I had to ring the ambulance to take us to the local hospital and when we got there the doctors had to ring GOSH as it could not be dealt with at my local. We had to be rushed up to GOSH as if the bowel was left much longer it would die. When we were about 5 minutes away we saw it had worked its way back in, so they kept him in over night just to make sure it did not do it again. The surgeon had done an operation to stop this from happening, but the stitch has broken away and it prolapsed again last weekend too. So, now we are just waiting for the surgeon to come back from his holidays so he can deal with it. I had my operation when Macaulay was in GOSH – he had his on a Friday and I went over to GUYS on Saturday and had mine, then went back to GOSH. It went well and has helped with my pains so now I’m waiting to have it implanted in my body. Thank you for all the post that has been sent and for the swimming pool, the little ones love it. Have a good summer, love Andy and Macaulay. Hi everyone, sorry I didn’t update last month but as you know I had an operation on my back to help with my pain. The good news is it worked for the pain in my leg but not my back, so I’m going back in to have this new thing they are trying at the moment – fingers crossed it works. Macaulay was due to go in GOSH at the end of May but it has been moved back to the 24th June, so will be in there with him for a couple of weeks. Macaulay received his love quilt this month which is lovely and a lot of hard work has been put in to making it. We would like to say thank you so very much to all that made it. Thank you also to everyone that has sent cards, letters or a gift this month. He is doing ok at the moment. He has had a few ups and downs but he keeps on going. Hope everyone is well and I hope you are all managing to enjoy the sun we are having. Take care, love Andy & Macaulay. Macaulay has had an up and down month with his illness and has been getting lots of obstructions. We went to see his surgeon at GOSH last week as his consultant wanted him to see him because he thinks it is Macaulay’s stoma that is causing the problem. The surgeon is going to redo Macaulay’s stoma as it is protruding into his stomach, so he said it will be a 3 hour operation to sort it out and a 2 week stay in hospital, which will be at the end of May. He had a great birthday and got lots of cards and money which he bought himself an Xbox with. It is something he has wanted to get for a while. We took him bowling and for something to eat afterwards. Thank you so much for all the lovely cards that you all sent. It is going to be a busy couple of months with hospitals as I’m going in soon for an operation on my back too, but not until I’ve got Macaulay sorted first. Hope you all have a happy Easter and don’t eat too much chocolate! Take care everyone, love Andy Macaulay. Sorry I’m a bit late with the update but I have been in hospital myself for two weeks. Macaulay has had an up and down month. We are waiting for him to go in to GOSH to have his stoma refastened as his doctor thinks it will help it work better and they are giving him a break from some of his meds to see what happens. Next week he has a pantheon challenge 5 aside football competition with school which will be good and he got a gold medal last year. Hope all are well and this weather starts to change. Thanks for Macaulay and his siblings post. Macaulay has had an up and down month. We went to GOSH to talk about a bowel transplant, but at the moment they don’t feel it’s for him. They are looking at some other options, his medication is going to be changing, and he will need to go into hospital to have his stoma re-done to see if that will help with the soreness and the blockages he’s getting. Macaulay has been working hard at school and he has some football tournaments coming up which he will have fun taking part in. I (Macaulay’s dad) am going into hospital from 22nd February for 2 weeks to have treatment on my back and an operation at the end of it. We hope you are all well and had a good January. Take care everyone and thank you to everybody who has sent post. Macaulay had a great Christmas. He was very excited we went to stay with family and everyone had a nice time. Thank you to all the lovely elves who took the time to send Macaulay and his brothers presents. They really loved them. Hope you all had lots of fun at Christmas too. We have lots of snow at the moment, like most of the country, and the kids are loving it because they have no school. Macaulay is going to GOSH later this month to talk about the next step on what they going to do. Hope you all have a very happy year, love Macaulay and Andy. Macaulay has had a ok month. We went to chase to meet Simon Cowell which was good and Macaulay got very excited. He has been working hard at school for his Christmas play, plus he has had lots of outings with school. He has gone Christmas shopping today with school, so I hope they don’t get to wet with this bad weather we are having at the moment. On Tuesday night he went to a party at Crystal Palace Football Club, they have a Christmas party for disabled children every year and he had lots of fun and met lots of the first team players. On Friday we are all going to the chase for the weekend and it will be our last stay as Macaulay will not be going there any more. We are going to miss it as they have been a great support over the years. We are still waiting for an appointment to go to GOSH to talk about the bowel transplant. We wish everyone a very happy Christmas and a great New Year. Hope you all have fun and have lots to eat. Macaulay has had an ok month with his illness. We went up to GOSH to get some results and they where ok.
We have to go back to GOSH soon to have a meeting with his doctors to discuss a bowl transplant though. He has been working hard at school and we went to the chase on Thursday to meet Simon Cowell. He gave Macaulay a signed picture which Macaulay likes and he was also in Friday’s Star newspaper. Simon Cowell was very nice to all the kids – he is not like people think he is! We hope you are all well as can be and thank you for the post that has been sent. Macaulay has had a good fun filled 6 weeks holiday. He has been places with his carer, stayed at his respite centre, and went to the 02 with them to see Walking With Dinosaurs. Then we have stayed with my in-laws and we went to the Littlehampton beach which was good. We also saw one of the other Pals and it was good to catch up. Macaulay’s health is still up and down and we are going back to GOSH in October for results. I’ve been put on new drugs for my back but they are not working, so when I go back this month I will be telling them and hopefully they will suggest something that will help. Hope everyone had a good summer and is well. Macaulay is doing ok at the moment. We went to the Isle of Wight for 4 nights which we all enjoyed very much and we didn’t want to come home! At the moment Macaulay is at the Chase for a week and then he is going into GOSH for some tests for 2 days. After that he’s going to Mencap for the day and we have a family day trip to the beach planned, so a busy summer for Macaulay. Macaulay has had a up and down month but is ok at the moment. We went to the hospital today for him to be fitted with his hearing aids so hopefully it will help him hear much better now. He was meant to go in to GOSH at the end of month but it has now been changed to August. He is getting excited about going on hoilday soon. We are all looking forward to it so let’s hope the weather stays nice. We hope you are all well and thanks for the post we’ve received. Macaulay went to the hospital about his ears and they wanted to do another grommet operation. I said no to this though, as they clearly aren’t working after already having it done 4 times, so he will probably have to have hearing aids again. We’re still waiting to go in to Great Ormond Street Hospital for his test. He had a nice half term holiday as we all went to stay with my wife’s mum and we went to the beach for the day which was lovely. Macaulay has been getting angry a lot lately and hurting his younger siblings though. Macaulay has been ok this month. He has been to his after school clubs and had a meal out to teach them independence etc. He’s also been to his respite centre and he went to a sports centre where they do different fun activities. This Sunday (4th) he’s going to Crystal Palace football ground to watch the last game of the season by special invitation with 6 other boys from his school, because they were in a competition against other schools and they came third! At half time, the children from his school are going onto the pitch for a special presentation. On the 11th of May Macaulay is going into hospital to have his grommets put in again. We are also waiting for an appointment for an endoscopy to see what is going on with his tummy. Thank you for the post sent this month, Macaulay particularly liked his growing eggs. Macaulay has had a ok month. We went to GOSH last week to discus his illness. His doctor is not too keen on doing the gastric pacemaker as he doesn’t feel it would work for Macaulay. They want to take him in to do an endoscopy to see what is going on so we’re just waiting now to get the date on when he is going in. He had a great birthday and got a DS which he hasn’t stopped playing. Last week he did a Panathlon Challenge with his school against other boroughs. They played different games like table cricket which they won and they came third out of six in the whole competition so they all did well. This weekend he is at his respite place which he will love even more this time as his best mate is there too. Hope you all have a great Easter and thank you for the post. Macaulay has had an up and down month. He went for his test to see what’s happening with his tummy and it does not look good. The doctors are looking at more surgery to put a gastric pacemaker in his tummy to help it work better but they said it will take a lot of thinking and careful planning, so we’re not sure when it will all happen. On a good note, Macaulay had a football match the other day with his school and he scored two goals. He is also going to GOSH on the 18th for the day. We hope you are all well. Take care and thank you for the post this month. Macaulay has not had a good month with his illness and we are waiting for him to go in to hospital for some tests which should be this month. There’s been lots going on as I had an operation on my back in March last year but I’m still having lots of problems and it is hard to walk some days with the pain I’m in. On a sad note, Macaulay’s nanny passed away last week and she will be greatly missed. Macaulay is excited today though as he has no school because we are snowed in – the snow is about 6-10 cm high. Thank you to everyone who sent post during January. Macaulay has had a great Christmas and he got lots of pressies. Thank you all so much for all his lovely cards and gifts. We had a lovely time at the chase, they made it so special, and on Boxing Day we went to a panto which was very funny. He has had a few bad days with his illness and as usual he has lots of hospital appointments coming up this year. At some point he has to have an 8 hour test to see how things are with his bowl. I hope you all had a great Christmas and are well. HAPPY NEW YEAR TO YOU ALL! Macaulay has not been to well this month. He has had a really bad ear infection and has had some obstructions. He had to have an operation on his ear on Monday to remove his gromit as the ear drum had grown over it and it is very sore. Today, Saturday, he has gone to a Christmas party with the Chase which he was looking forward to. 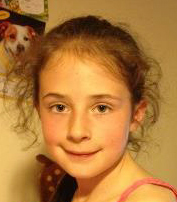 Jessica has gone on a sleep over with her rainbows group which she was also excited about. Macaulay’s younger brother, Joshua, has now been diagnosed with Cerebral Palsy, which i thought he had all along. It has been a really busy month with taking Macaulay and Joshua to the hospital and my mum has just had to go in a home as her health has got bad, so i have had to look at some homes for her. She has gone to a nice one now and has settled in well. My feet have not touched the floor this month! On the 23rd we are all going away to the Chase for Christmas which will be great and we are all looking forward to it. Happy Christmas to you all and have a great time. Macaulay has not been too bad this month. He’s had a bad ear infection but it is getting better and he’s been busy working hard at school. He has started some counselling now to help him try cope with having a stoma which he has found very hard to cope with and to help with some anger problems. He has gone with the Chase to the Top Gear Motor Show today and then after they are going to watch them film Top Gear. We hope you are all well and keeping warm on these very cold days we are having. Macaulay has had an ok month and has been busy back at school. He has had some bad days with his illness but is ok now. We went to GOSH on the 24th and all is ok there, but they are not making any changes at the moment. He will need to have an 8 hour test again next year to see how things are going and to see if they can rejoin his bowel. We are back at GOSH on the 7th and 28th of October, so it’s busy. Grant, Macaulay’s brother, has just come back from being away with the chase on a 72ft yacht. They went to Yarmouth, Poole and Isle of Wight which he enjoyed. 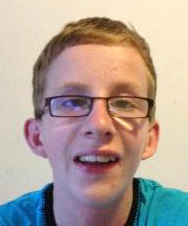 Macaulay has had a busy summer going to his respite centre and out with his carer. We all went to the beach and had great fun and on the 27th Macaulay went to Southampton with Chase. They went on this really posh boat and had lunch in Portsmouth, and then they went to the lsle of Wight and got to drive the boat which Macaulay loved. He come home full of excitement. It’s back to school next week; the holidays have gone so quickly. Macaulay has also got lots of hospital appointments coming up so it’s a busy September for him. Thank you to all that sent to Macaulay this month and thanks to Post Pals for sending the out door bowling game, they love it. Macaulay has had a few obstructions this month but other than that he’s been generally ok and well. Macaulay has stayed in his respite centre and went to the beach with them. We have been to the park to play football and play on the slides and climbing frames. Today, Macaulay is going to his respite centre in Guildford and will enjoy that as he loves it and they have lots of fun things to do like arts and crafts, computers, play stations, out door fun area, and much more. Next week we’re hoping to go to the beach then the following week we are going to the in-laws for a few days and hoping to go on days out with them too. Thank you for the post and hope you are all well. Happy holidays to you, what ever you may be doing. Macaulay has had an ok month with some ups and downs with his health but he is soldiering on as he usually does, bless him. 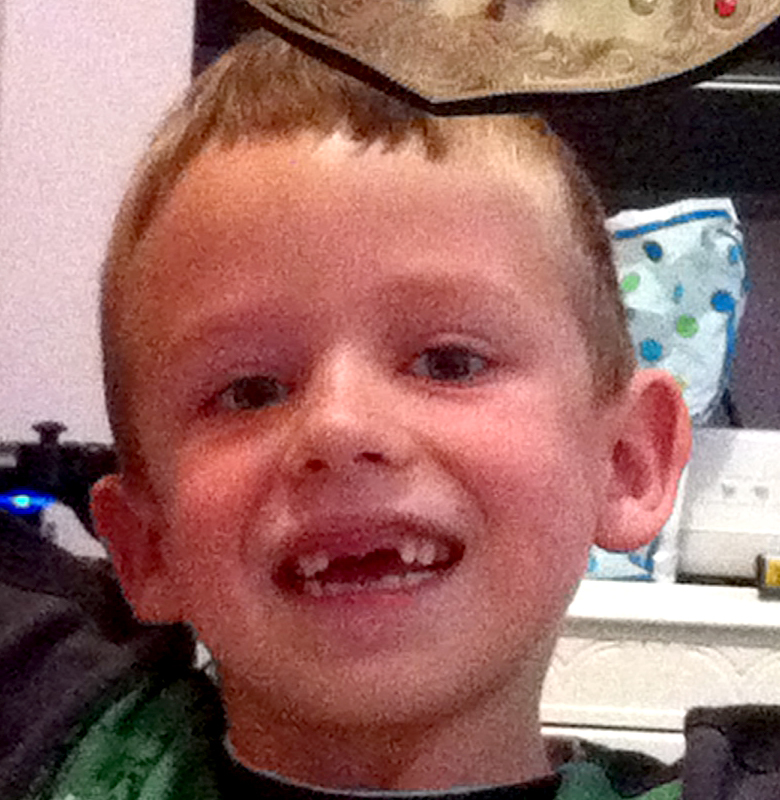 Macaulay has had lots of hospital appointments and dentist appointments to help see if his teeth can be straightened. Macaulay has been to the cinema with his carer. He saw the new Hulk film, Kun Fu Panda and the new Hancock film staring Will Smith, which he enjoyed very much. He has his sports day on Tuesday if the weather is ok and Macaulay is looking forward to the summer holidays. In August he’s spending a week in the CHASE which he enjoys too. Thank you so much to those who sent Macaulay and his brothers and sister cards, they enjoy receiving them. Macaulay has not been to well this month but is feeling much better now. He will be on Channel 5 news next Monday (10th) with his brother Grant as it is carers week. They are doing a report on young carers and he has been busy at school working hard. Thank you for all the children’s post. Macaulay is ok. He is having a few up and down days with his health, but seems to be coping. We received the results from his long test he had at GOSH and they weren’t good, they can’t re-connect his bowel at the moment as his bowel still isn’t well enough. Plus, they said if they did it now it would disturb his puberty etc so best to leave it until the bowel is 80-100% better. So, that was a bit disheartening but we are just plodding along as usual. I hope everyone else is ok and thank you to all that have kindly sent Mac things. Macaulay had a good birthday and he had lots of cards and presents. He’s happy now I’m at home after my stay in hospital. He has to stay in hospital on the 15th until the 17th for a test we have been waiting for, so fingers crossed it all goes well. Thank you to all those who sent Mac birthday cards and letters and thank you to Julie for the present. Macaulay has had an up and down month but is doing ok. He is happy as he has just been given respite in a place where he wants to go. He is still waiting to go for his test in GOSH which is getting very frustrating. He had a good half term though and enjoyed the rest. Thank you for all his post this month. Macaulay has not been feeling too well this month but is doing ok. He has to go to GOSH on Friday to have an operation on his stoma and he is hoping to go swimming as soon as he can go back in the water. He is still waiting to have his test to see what they are going to do with his bowel which is making him very frustrated. Macaulay has had a lovely Christmas. He got lots of presents from Father Christmas; he got a new playstation 2 and lots of games to play on it. Health wise Macaulay has been well. Tomorrow he’s due to have a blood test and on Monday he’ having a small operation to correct the position of his Grommet as they have got lodged in his ear canal. They are hoping his hearing will improve after the operation but if not he may have to have his hearing aids back, as at his last hearing test he did quite badly bless him. A big thank you to everyone who sent post and a special thank you to Julie for sending Macaulay the lovely gift. Macaulay has had an up and down month and has had this horrible cold with a nasty cough. He’s still waiting for the test at Great Ormond Street and this is becoming frustrating as we don’t know what’s happening. He has been to have his hearing checked which is very bad and he’s got to have a small op done to correct his grommets and possibly have his hearing aids back. On Monday the 10th Macaulay is going to the Crystal Palace annual Christmas Party which he is extremely excited about. Thank you to everyone that has sent post this month. Macaulay has had a up and down month. He went in to Great Ormond Street Hospital to have the test he has been waiting for, but unfortunately it didn’t go to plan as they had to insert a catheter from his nose down to his tummy and they couldn’t get the tube where they wanted it. They had to abandon the test so we are now waiting for them to redo it a different way, which we hope is soon. Macaulay is still finding it very difficult to cope with his stoma and having to be fed four hourly. Thank you to everyone who has sent Macaulay something this month. Well it’s been a busy time for us all, as we have just moved into a nice house at last!! Macaulay is very happy to be in a house now and he loves the garden as we never had before. He has had his ups and downs with his illness and he will be going into GOSH on Friday to have a test so they can decide what they are going to do with him long term. Macaulay has settled back into school ok and is working hard again. Macaulay is enjoying football again on Friday’s plus swimming. Macaulay has had a good summer holiday with lots going on. He stayed in his respite center for 5 days and had fun there. He has had his ups and downs with his illness, but is getting through it. We are moving very soon to our new house which we are all looking forward to. Macaulay has been in hospital this month to have his feeding tube put back in as when i went to change it i couldn’t put the new one in. He has had an up and down month with his illness but is staying strong. He is going to his respite centre for 5 days which he is looking forward to. He is still waiting to go to GOSH for his test but at the moment the machine has broken. We are moving soon as the flat we are in has been leaking so we have now got a house which is being all done up for us. We should be in there in a month and it will be great for us all. Thanks to everyone who sends me cards and letters. Macaulay has had his up and down days this month. He has been to his respite centre this weekend which he loves. He has his sports day coming up which should be great if the weather is good. He has got a carer now who has him once a week for 3 hrs who does lots of fun things with him. Thank to everyone who sent me post and thanks to Julie for my WWE kit. Macaulay has had an up and down month again. He has been very busy too – he went to see the new spiderman film which he loved. He is still waiting to go into hospital to have his test. This weekend he has been at my mother in laws and he has great fun there. He played in the garden and went out for a meal – he really loved it and had lots of fun. Thank you to everyone for my cards and letters as I enjoy receiving them. Macaulay has had an up and down month with his illness. We are still waiting to go in for his test. His baby brother was in hospital with pneumonia but is better now. He went to his respite centre for the weekend and had fun. Thank you all for sending Macaulay cards/letters, he enjoys receiving them. Macaulay has had an up and down month with his health. He has had a few obstructions which give him an awful lot of pain and discomfort but he seems to be well again now. Macaulay is still waiting for a test to be done at Great Ormond Street. They did have a date but there was no bed so we are still waiting. He had his 12th birthday this month and got lots of lovely cards and presents. He was also in a competition with his school this month and they came 4th which was great! Thank you to everyone for all my lovely cards and gifts. Thank you also to Julie for the notes and messages, as they make him smile. Macaulay has had an up and down month and we are still waiting to have his test to see what they are going to do with him. He has been getting very angry lately as on a sad note, his great granddad past away on Monday, which is a great loss to the family as he was a much loved member. Macaulay is still not copping very well with his stoma bag, it has come off every day this week and made his skin very sore. Thank you to all that send cards to Macaulay, it makes him happy receiving them. Macaulay has had some ups and downs with his health and he has started counseling at GOSH to help him cope with his illness which is great. He is still waiting to go in GOSH to have a test so they can make up their minds in what they are going to do with him and we are also trying to get a shower fitted to make it easier for him. Thank you for all his post. Macaulay has not been feeling too well lately but is feeling a bit better now. He has a busy new year with hospital appointments and its crunch time to see if his bowel is better so they can rejoin it, but his doctor does not hold out hope that they can. Thank you to everyone who sent me a card and to Sue for the lovely Christmas presents. Macaulay has not been feeling very well lately because of his pseudo. He has a busy december with appointments and on the 7th he has to go in to hospital to have his feeding tube changed because he has not been getting on with it. On the 19th he has two appointments at GOSH.